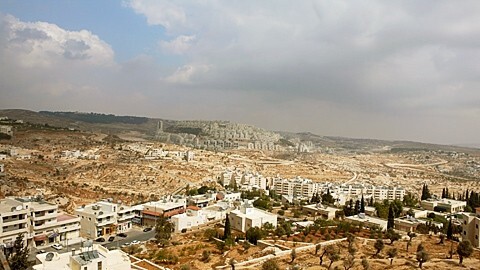 The city on the West bank of the Jordan River called Bethlehem is currently located in Palestinian territories, and this is also a place that is familiar with Christianity and is known as the birthplace of Jesus. The place that is regarded as the birthplace of Jesus is the cave and there is a church called the Church of the Nativity on it now. There is a staircase leading to the underground in the control division of the Orthodox Church in the Church of the Nativity and the cave that is the birthplace of Jesus has been still kept there. Also, in the east of the Church of the Nativity, there is a church called Milk Grotto. This church is made up of milky white walls and has a legend that the ground became milky color when the milk that the Virgin Mary gave to Jesus spilled, so this church has been also popular as the place which is related to Jesus. By the way, when a Christmas tree is decorated, a star is usually decorated on the top of the tree. It is called a Bethlehem's star, being named after the birth of Jesus. It suggests that Bethlehem is important when it comes to Christianity. Many churches and ruins have been still preserved now, which makes a town on the list of towns Christian pilgrims absolutely hope to visit.